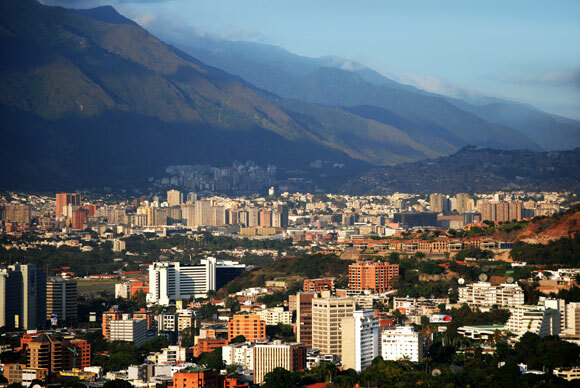 We wouldn’t be the first to say Venezuela is at a crossroads, and we may not be the last, but rarely in the last decade has this once-thriving economy had the chance to seize a brighter future from the wretched state it finds itself in today. Juan Guaidó, the 35-year-old leader of the National Assembly, has the support of the United States, much of Latin America and the European Union for his claim to legitimacy as president of Venezuela. The incumbent, Nicolas Maduro, who has presided over the collapse of the economy, has the backing of the army and a range of authoritarian regimes around the world who see in Guaidó’s populist rise the unhelpful assertion of the people over autocratic rule. Russia, Turkey and China are all positioning themselves to prevent what they see as the U.S.’s meddling. But as The Economist points out, the world should not stand idly by and let the Venezuelans struggle with this on their own. There is a real danger the army will simply impose martial law to maintain the status quo. After five years of wretched inflation and growing poverty, what was once one of Latin America’s richest countries has been reduced to its poorest. With the world largest reserves of oil and gas, and sitting in America’s backyard, it is hardly in the West’s interest to allow this festering boil to erupt into civil war, let alone perpetuating the humanitarian disaster that is unfolding. As The Economist observes, Maduro has presided over an inexorable decline in the economy. Annual inflation is now running at an unimaginable 1.7 million percent, which means that bolívar savings worth $10,000 at the start of the year dwindle to $0.59 by the end. Venezuela has vast reserves of oil and gas; however, starved of investment and plundered by Maduro’s corrupt generals, production has tumble to 1.1 million barrels a day from nearly 3.0 million less than five years ago. According to The New York Times, the National Assembly estimates that some U.S. $30 billion has gone missing from state oil company PDVSA’s coffers in the last few years. Even allowing for much of this being due to mismanagement and populist price controls, it still suggests corruption on a large scale. In an increasingly isolationist America, some will ask: is this America’s problem? Well, quite apart from the humanitarian disaster – over 3 million people have fled the country due to hunger, repression and to escape dire poverty – if America doesn’t step in, Russia will. Venezuela has the oil and gas reserves to once again become a major economic power in the region — do we want that to be an open liberal democratic society or a puppet of Moscow or Beijing? It is reported by the paper that Russia has already moved 400 “private military personnel” to the country in moves that echo of Crimea. Thankfully, so far the Trump administration is playing an economic, not a military game. The Treasury Department has in effect put a U.S. embargo on Venezuelan oil by saying funds arising from payment for oil exports cannot be repatriated to PDVSA but must be held pending Guaidó’s appointment. It has also promised U.S. $20 million in food and medical aid to ease economic hardship for the country’s citizens (but payment is contingent on Guaidó coming to power). Maduro, meanwhile, is busy selling what’s left of the country’s assets, a report in the Times states his administration is selling a fifth of his country’s gold reserves for cash to keep his regime solvent. Twenty-nine tons of gold are being sold to the United Arab Emirates — three tons were shipped last month and 15 tons were in the process of being sold last week (the balance will be sent shortly). The Times states the sale represents about a fifth of Venezuela’s previous total reserves of 132 tons. Venezuelans no doubt hope the end game is fast approaching, it is up to the West to help manage that process without bloodshed and, if possible, with an international consensus as to what is to follow.